First, a major apology to Dorte for taking so long getting to her book. With every intention of starting it right away, a LOT of life's little obstacles have recently manifested themselves, limiting my time for reading this book and for reading in general this month. Second, another note to Dorte -- after finishing this novel, now you've made me want to read your North Sea Cottage, so I bought a copy. And so grows the TBR pile. 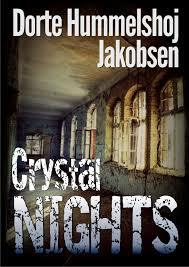 Crystal Nights is the type of crime novel I just love, where there are mysteries in the present which have their roots in the past. I'm certainly not spoiling things when I say this; the minute you open this book you're in 1938 following a Jewish family as they are preparing to leave Berlin. Leaving behind her very life, Sara follows her husband who has decided that leaving at that time is probably a very good idea. The family makes its way to an entirely new existence and tragedy strikes. Fast forward now to Denmark in 1967 where a little boy disappears from the small village of Kalum. At first, his mother tries to tell police that he went off with her ex-husband and is staying with his family, but neither Lars-Ole's father or his wife have even seen him. A few suspects are looked at but there is nothing concrete that Lars-Ole's disappearance can be tied to, so little by little the case goes somewhat cold. The only one keeping the hope alive is a friend of Lars-Ole, Niels Haugaard. The two boys were best friends, and shared a number of entertaining adventures together, their latest pretend-fest centering around the world of spying. Right after the boy's disappearance, Niels makes his way to one of their hideouts and discovers Lars-Ole's little notebook in which he leaves coded messages. However, even after he's figured out what Lars-Ole has written, he still isn't quite sure of its meaning. Using this little notebook as his only guide, he stays with it while other matters take up the attention of the police. But when things take a very sinister and rather unexpected turn, the cold case of Lars-Ole's disappearance begins to heat up once again. "... All these well-meaning neighbors were ever so well-informed when the harm was done. Then they were quick to interfere and get their bit of attention, but would they dream of reporting a neighbor's son to the police before he was seriously out of line?" I think that Ms. Jakobsen really understands the point that crime fiction should be used to examine people -- and that she shows this deftly throughout her book. I will say that I was a little iffy about the story when Niels started looking for Lars-Ole, because I was a bit worried about where this story was going to go. Would Niels be the little crimesolver here? -- in which case I would have been really put off. I'm happy to report, however that there's a good balance between the story of a boy searching for his very best friend, the police investigation, and the darkness that lives in this small village so I ended up having nothing to worry about. As I said at the beginning, reading this book made me want to read yet another novel the author's written, so obviously I liked it; I think others will find it very good reading as well. Not as intense as my usual fare, but the story hung together quite nicely and there's more than enough in here to satisfy my need to understand the darkness that lives within people. I'd say it's too dark for cozy readers and a little too light for those drawn to deep noir, so readers who find themselves between those two extremes ought to be very comfortable with this novel. Recommended. Great job on your end -- and you made MY day by giving me an intelligent, good read. Nancy, a splendid review replete with insightful commentaries. 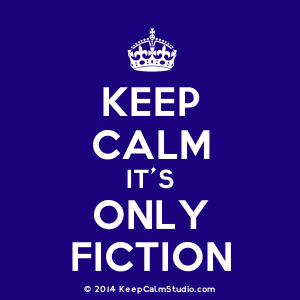 You cleverly denote the purpose of crime fiction; in fact, your insight can be juxtaposed with all forms of fiction. Reading is for entertainment, of course, if one reads superficially ( and that is OK, too) but it can be SO much more. This books sounds wonderful. Thanks. I read mainly for fun, but in the process, I learn a great deal. This sounds like a very good book. And cheers to Dorte, a good writer and blogger, too. Is this novel available in English for adoption in a Scandinavian Crime Fiction course at an American college? It sounds intriguing, but I can't require my students to buy a Kindle edition.